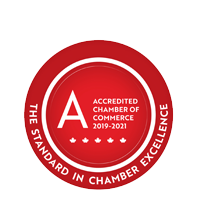 Canadian Tire | Hardware | Auto Repairs | Auto Parts | Tires - Sales & Service | Sports Equipment & Clothing | Paint | Plumbing & Heating Services/Supplies - Business Directory - St. Thomas & District Chamber of Commerce - ON, ON ? The St. Thomas Canadian Tire location is part of a national network of nearly 400 Canadian Tire Associate Dealers operating more than 430 locations. Founded in 1922, Canadian Tire offers many products and services for your home and vehicle.